A few days after its global debut, Oppo announces its mid-ranger Oppo A7 in India. Most of the specifications of Opp A7 are almost the same as the Realme 2 except the display type and the front camera. The Oppo A7 comes with a 6.2-inch Waterdrop display with a 16MP front camera wherein the Realme 2 has a 6.2-inch regular notched display and an 8MP front camera. 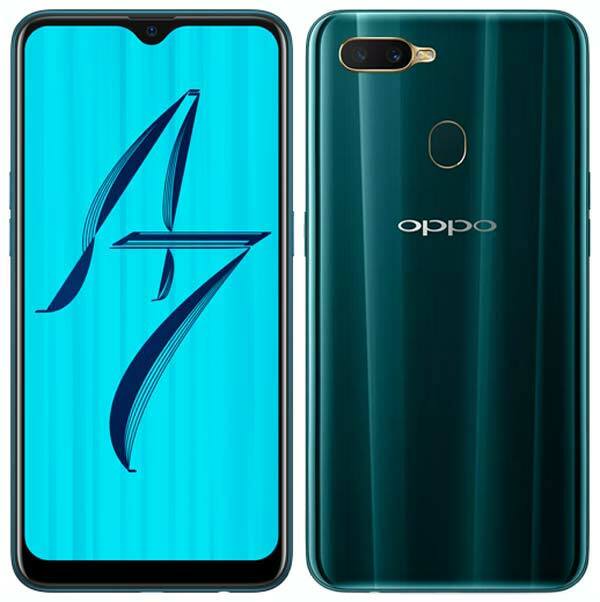 But, when it comes to design, the Oppo A7 has an industry first 3D heat-curved sheet on the rear side with grating pattern and mirrored textures. Furthermore, the Oppo A7 also includes an Anti-reflective coating to increase the overall screen brightness by 35%. To recall, the Oppo A7 sports a 6.2-inch HD+ Drop Notch display and fuelled by the Snapdragon 450 Mobile Platform with a non-removable 4,230mAh battery. It also supports AI battery management that freezes inactive apps to save more power. Coming to the camera, the Oppo A7 equipped with a 13MP+2MP Dual camera setup on the rear side with LED flash and an upgraded 16MP selfie camera on the front. This smartphone is offered in two configurations – 3GB RAM and 4GB RAM with 64GB internal storage on both. Oppo A7 also supports Smart Bar feature that allows you to multitask in both horizontal and vertical positions. The Smart Bar can be triggered by sliding at both sides. The Smart Bar also supports quick file sharing, screen recording, screenshots etc. Other key features are ColorOS 5.2, AR Stickers, AI beauty selfie, and Rear-mounted fingerprint scanner. The Oppo A7 comes in two colors – Glaring Gold, Glaze Blue and will be available to purchase in India through Online and offline retail stores at ₹16,990. Buyers can also avail 5% cashback using an HDFC debit or credit card and with Paper Finance EMI 0-down payment option. Also, free 3.2 TB data and additional benefits of upto ₹4,900 from Jio.